Thanks to an effort by Everytown for Gun Safety, the NRA will now not be the only group asking candidates for their positions on gun control. For years, the National Rifle Association has pressed candidates for local and national offices to answer questions about gun control policy. The highly publicized results, which help form a candidate’s often sacred “NRA rating,” not only affect races in the short term but help shape policy long after as politicians are hemmed into a particular position on guns before even taking office. Now, a leading pro-gun control group is launching a counter-effort: Everytown for Gun Safety, funded by former New York City Mayor Michael Bloomberg, will soon present federal candidates in the 2014 midterms with a ten-part questionnaire about gun control policy. Bloomberg has committed to spending $50 million on the midterms, and the questionnaire is a good starting point for evaluating where candidates stand. Does the candidate support closing the gun show loophole? What about loopholes that allow people to buy guns online without a criminal background check? Does the candidate support increased penalties for straw purchases and gun trafficking? Should the size of ammunition clips be restricted? (There is no baseline given). Some of the questions are traps, in a sense, for candidates who normally hew close to the NRA line and oppose any restrictions on gun rights whatsoever. For example, one question asks if the candidate supports laws to keep guns out of the hands of people who have been convicted of stalking or of abusing a dating partner. (Current federal law only prohibits gun ownership by people convicted of spousal abuse, but not domestic violence more generally.) Any sensible answer to the question would be yes, and a “no” answer is a campaign ad waiting to happen. Other questions are clearly designed to build political support among potential members of the next Congress for things like expanded background checks or even smaller-bore policy items like increased funding for the federal background check database. 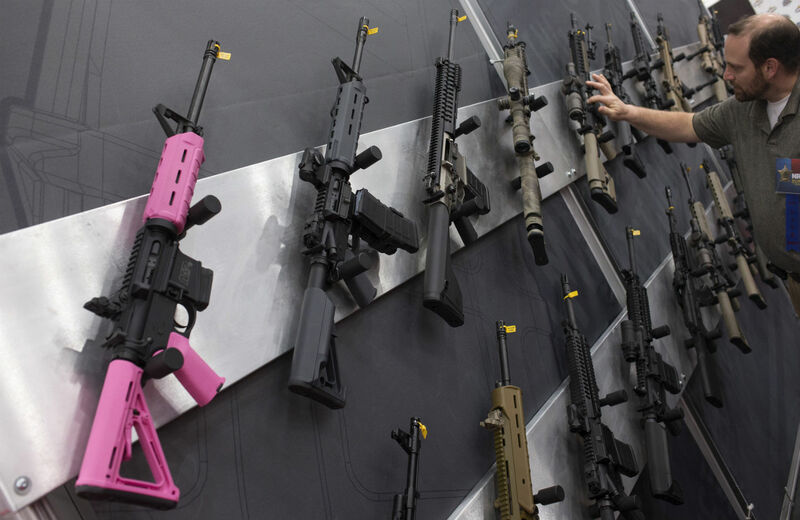 But there is one curious omission, especially for a group whose name is supposed to recall the horror of the shootings in Newtown, Connecticut: no question asks about an assault weapons ban. There was notable state-level action around restricting assault weapons after Newtown, but congressional Democrats dropped this from last spring’s major gun control legislation. Apparently Everytown for Gun Safety isn’t too interested in pushing Congress forward on this issue.